Published on January 21st, 2016 | by Chad T.
Dr. Hawary is a respected fellow of the American Academy of Cosmetic Dentistry. 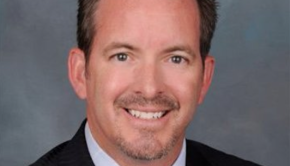 He has built a successful dental practice based out of Irvine, California. You have built a successful practice. Why do you continue to push yourself? I have a real passion for helping people achieve a beautiful smile. By continuing to learn, completing postgraduate courses and advanced programs, I have mastered all aspects of dentistry so that I can use my training and knowledge to treat even the most demanding dental situations. Continuing education and lifelong learning, especially staying on top of new technologies, is so important to my ability to serve my patients. Do you only offer cosmetic dentistry services? I specialize in cosmetic procedures, but I never lose sight of the fact that a healthy mouth and teeth are the beginning of a good-looking smile. I educate my patients in dental disease and makes sure they get regular preventative checkups and makes sure that the cause of the problem is treated. What are you most proud in your practice? I’m most proud of the responses we get from our patients. They recognize how talented, professional and welcoming the staff is and how we work to make sure that they are relaxed and comfortable. Our patients often remark how they much they disliked visiting the dentist in the past but have found real comfort in working with us. Many of our patients initially come to us for basic dental care and return for years to come. It is our privilege to give them their best smiles. What Special Accomplishments are you Most Proud Of? 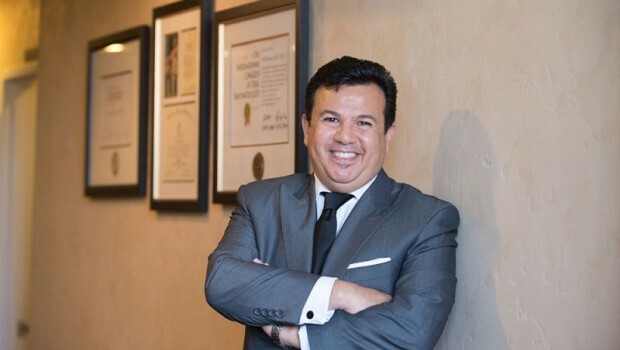 As a renowned cosmetic dentist I am proud of building up a successful dental practice but also being a fellow of the American Academy of Cosmetic Dentistry, the 60th dentist in the world and the first in Orange County to receive this award. I am a Fellow of the Academy of General Dentistry and both a Diplomat and a Fellow of the International Congress of Oral Implantologists, the world’s largest dental implants organization. My cosmetic and reconstructive cases are featured in The Journal of Cosmetic Dentistry, the Journal of California Dental Association, American Journal of esthetic Dentistry, e-Journal of Dentistry and Inside Dentistry.